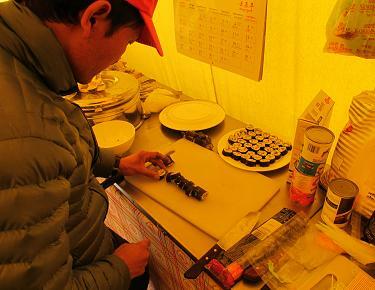 With only days left in the narrow starting window for the Everest climbing season in Nepal, a small group of Sherpas at Base Camp have been intimidating other Sherpas and trying to force them to leave the camp, expedition leaders, company owners and climbing clients report. It is unclear what this group wants to achieve but their techniques, threatening violence and “repercussions”, are described as mirroring techniques used by Maoist cadres during Nepal’s ten-year civil war. This added upheaval comes as several more expedition companies, including International Mountain Guides, have announced that, after consulting with their Sherpa teams, they are pulling out for the season, even as discussions with the Nepal government and Sherpas continue regarding demands for higher death and disability benefits as well as insurance. 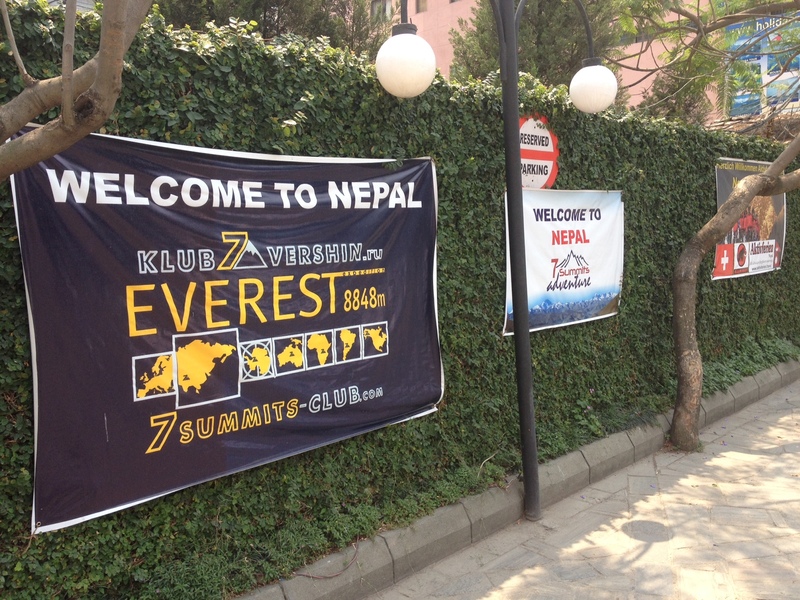 The climbing world here in Nepal is in turmoil. It has been almost a week since an ice avalanche broke off the mountain, killing 16 sherpa high-altitude climbers on the Khumbu Icefall, the highest number of deaths in a single day on Everest. Buddhist funeral rituals and cremations have taken place in isolated mountain villages and in Kathmandu. Grief is still raw among the tightly knit Sherpa community, the group that takes the greatest risks on the mountain, as it struggles to come to terms with the death of loved ones. 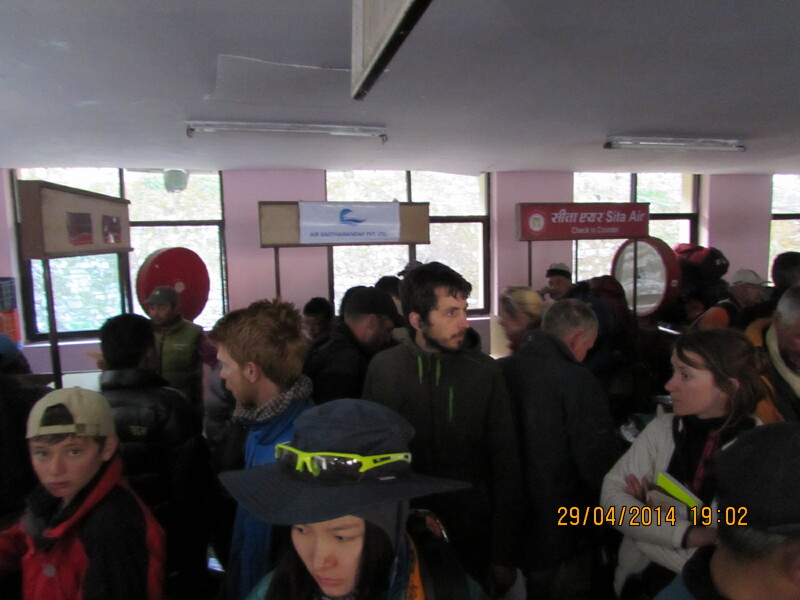 The unfolding anger and tension at Base Camp shed light on a critical turning-point for the local climbing industry, which has been for decades the main income earner for extended families across the desperately poor Solu Khumbu region. International climbers will not get refunds as their fees have already gone to the costs of preparing the expeditions, buying food and equipment, and hiring sherpas. 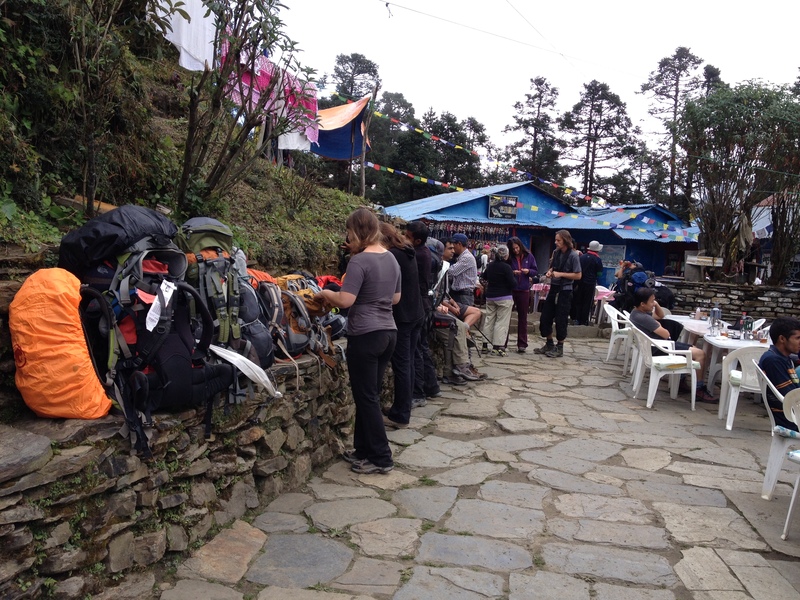 The decision on sherpa salaries will be made individually by the companies employing them. But stakeholders are already raising the question of what will happen next year? 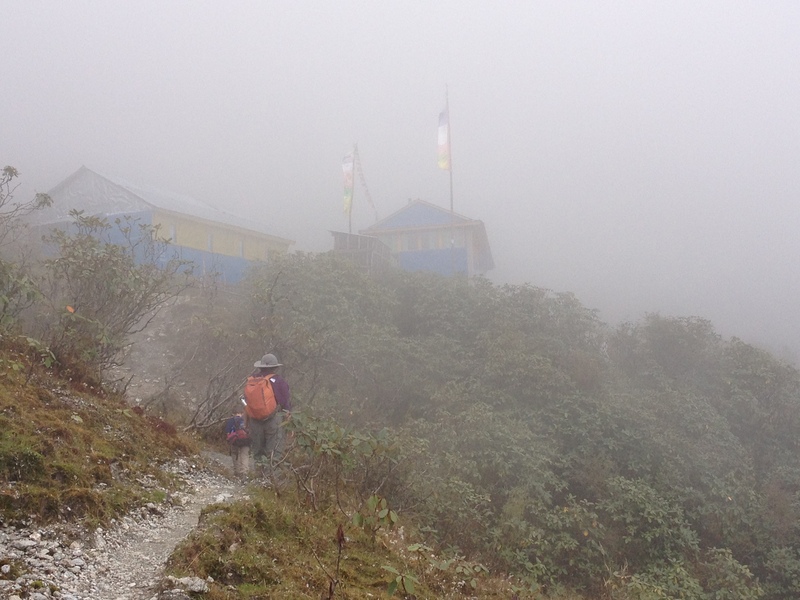 At Everest Base Camp, many are asking whether the mountain is even climbable this season. 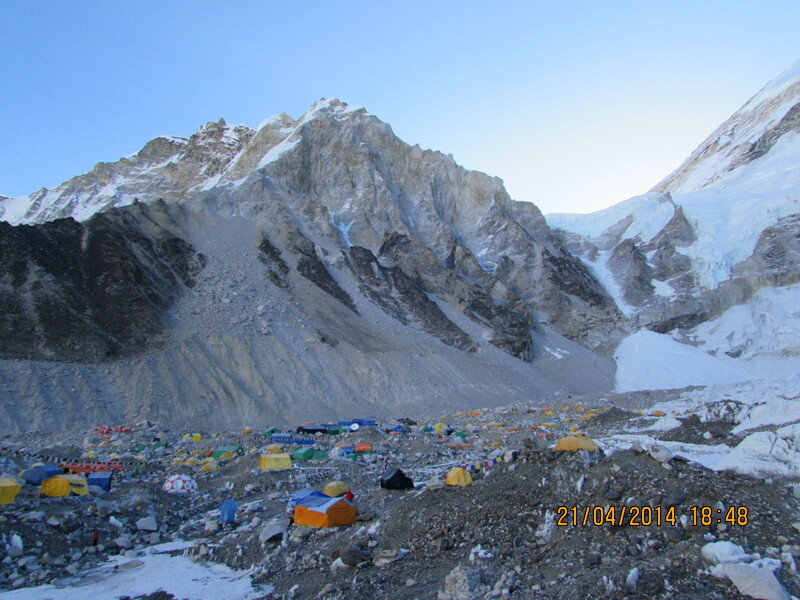 By this time last year, international climbers were already staying at Camp 2 to acclimate. 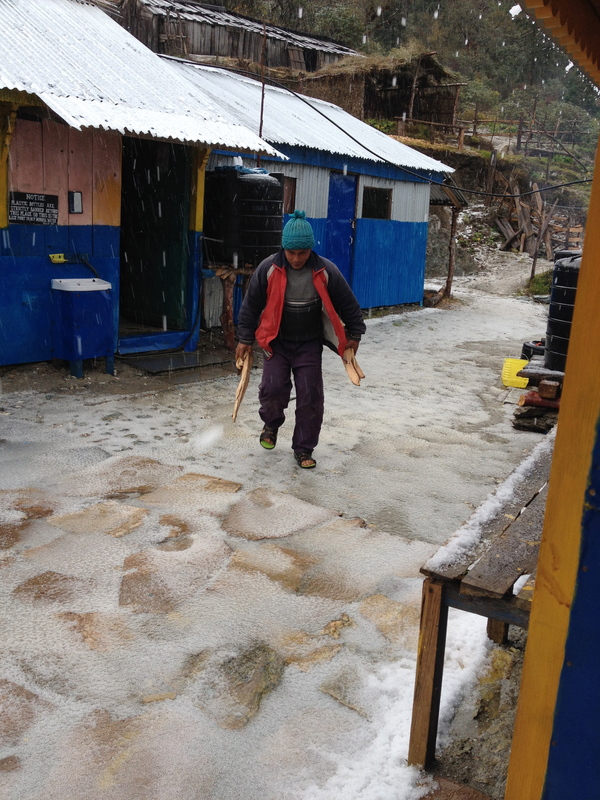 The sherpas known as “icefall doctors”, who set the ropes up the Khumbu Icefall, could in theory reset it on top of the old route that was hit by the ice avalanche. There is enough time to make it work, but they have said that the route remains unstable and dangerous. Setting a different route along the more central one used in the 1990s would require more time and equipment, neither of which they have. 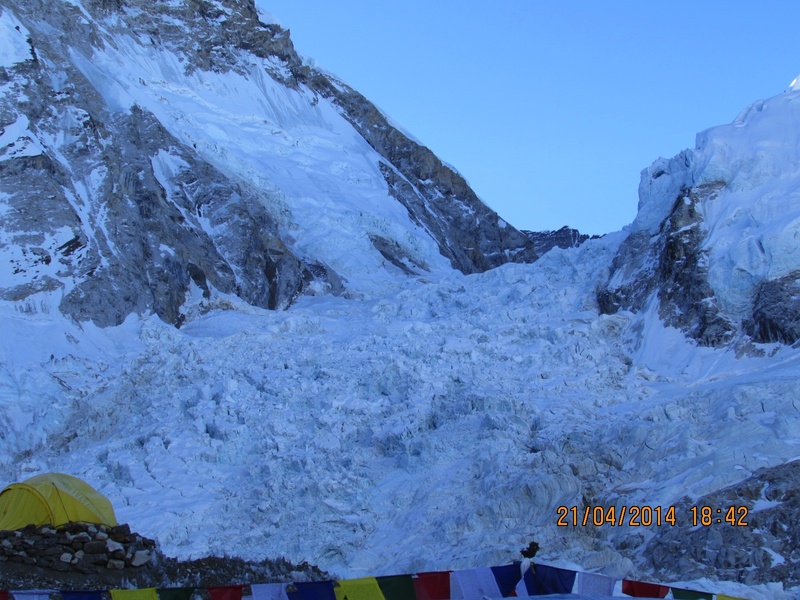 The extensive melting of the Khumbu Icefall, due to climate change, has made this central route more fragile and dangerous. The companies that have pulled out are, for the most part, old-time experts on the mountain who provided the core sherpa workforce that in previous seasons worked together to provide ropes, climbs and rescues. The weather is also a wild card. Everest will be summited this year, but in a big blow to Nepal’s mountaineering image, it may solely be scaled from China. Guy Cotter, CEO of Adventure Consultancies, like many other high-end companies, says he will definitely return to Nepal next year. Everest business funds his company’s other climbs and his staff spend six months a year organizing the season. But he foresees that the fees will increase and the client numbers decrease, and so fewer sherpas will be hired and international clients will be more tempted to cross the border to China. The image of Nepal, “birthplace of the Buddha and home to the world’s highest mountain”, may be damaged as well. 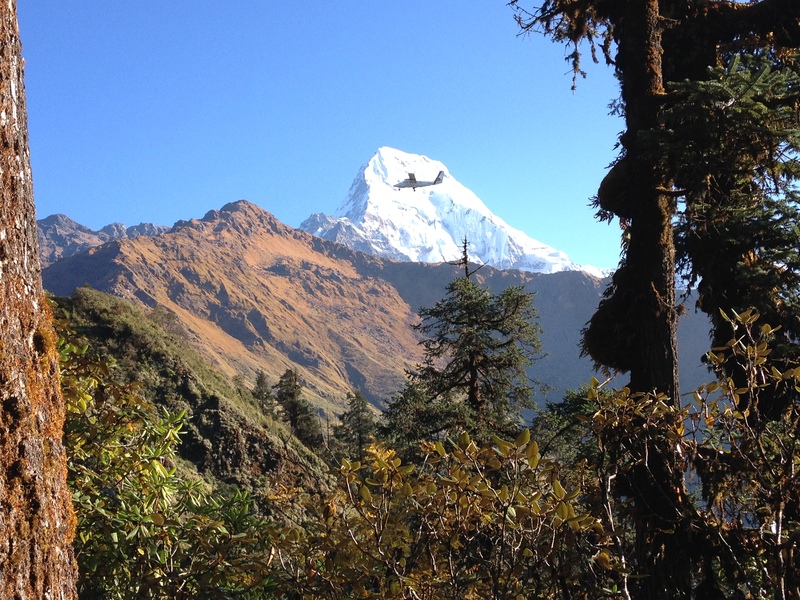 The iconic trek to Everest ‘s peak on the Nepal side is one of the most spectacular in the world. By contrast, the trek on the China side is through an arid austere part of Tibet. But in China, the climb is government-organized and bureaucratically much simpler and faster than in Nepal. If climbers head to China, the sherpas lose critical money-earning potential that has helped communities put their children in schools and start small businesses, a step beyond their traditional potato and barley fields. 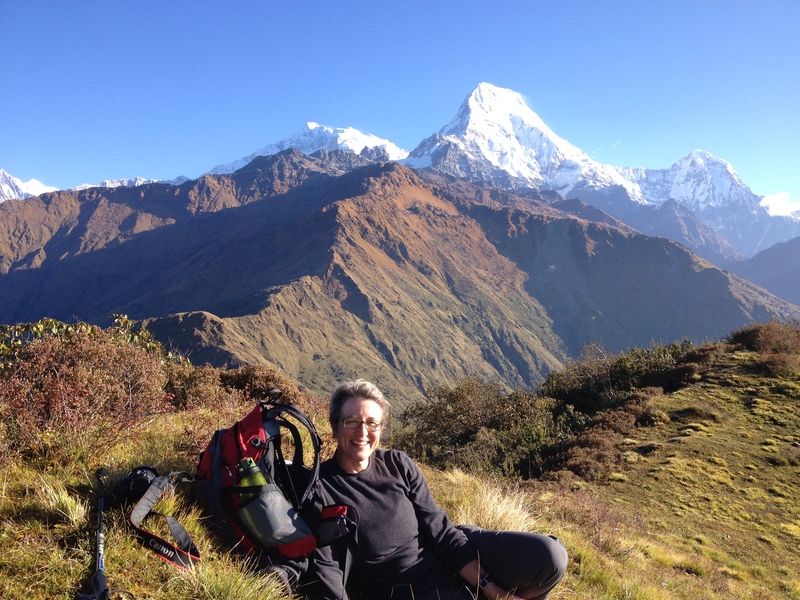 Though the government of Nepal‘s direct income from Everest tourism is only about $4 million a year, the actual benefit to the Sherpa community is closer to $12 million. 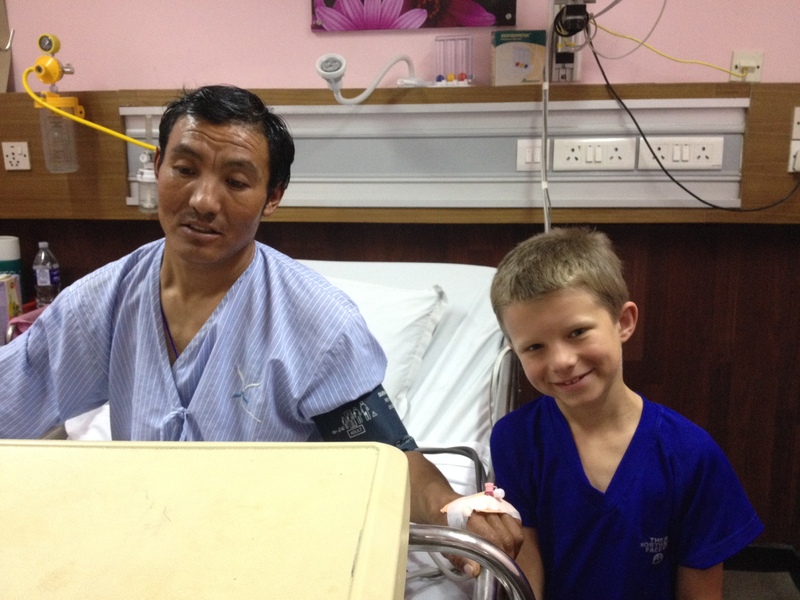 The goal of many of these high-altitude Sherpa climbers is to make sure their children can get an education and find other careers away from the slopes of Mt. Everest. If the threats at base camp escalate, then the Sherpas’ quasi-mythical reputation – a positive stereotype of hard-working, trusted mountaineers that has been used by almost every climbing company and written about extensively in climbers blogs – will have to battle, like the rest of Nepal, with the dark underbelly of a country still grappling with the consequences of a decade of civil war. 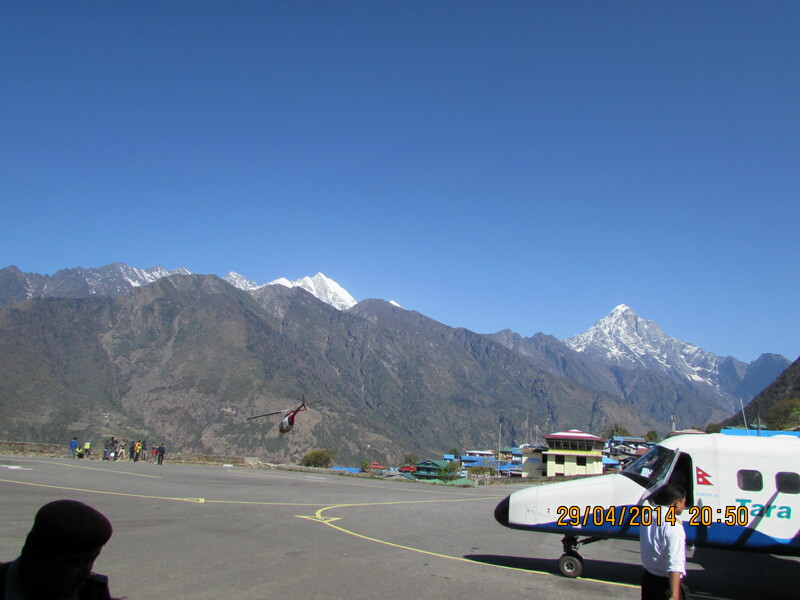 This entry was posted in avalanche, Base camp, beauty, Everest, global warming, high altitude mountain climbers, international community, Kathmandu, Khumbu Icefall, Maoists, mountain climbing, mountain tourism, Nepal, Sherpas, trekking and tagged avalanche, Buddhism, Donatella Lorch, everest, high altitude mountain climbers, Kathmandu, maoist, Nepal, Nepal news, porters, sherpas, south asia, tourism on April 24, 2014 by Donatella Lorch.